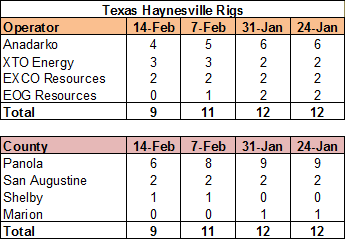 The Haynesville Shale rig count was down one last week to 24. 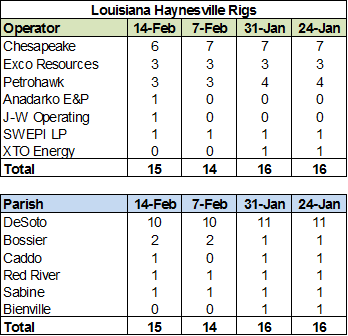 Louisiana was up one to 15 (Anadarko, J-W Operating both go from zero to one; Chesapeake down one), while Texas was down two to nine (Anadarko moved rig to LA, EOG down one). It's nice to see J-W back (at least for a little while) for the first time since April of 2013. 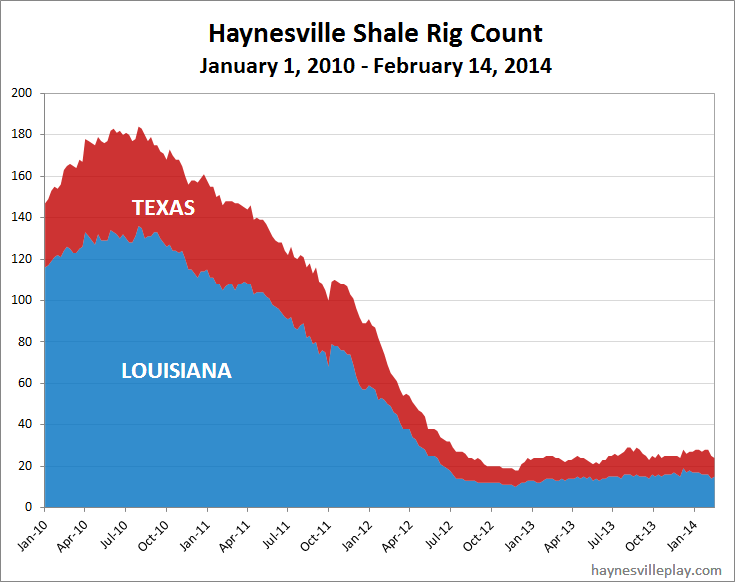 The company recently permitted four new wells in the Caspiana field in DeSoto Parish.